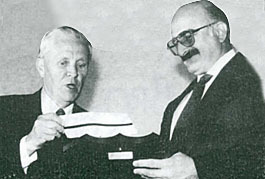 The single program William H. Brownyard created in 1950 served the security guard industry. Bill’s flagship program has grown into Brownyard Group, a national program administrator providing specialized insurance programs for ten different industries. Bill Brownyard founds our flagship program for Security Guard insurance. Brownyard Group launches insurance program for Security Professionals. 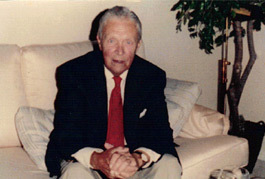 The first W.H. Brownyard Meritorious Award is given to security guard Joseph Brutto. Brownyard Group launches insurance program for Pest Control Operators. Brownyard Group founds Brownyard Claims Management, a loss prevention and full-service insurance claims facility. Brownyard Group launches Workers’ Compensation Program. Brownyard Group develops separate program for Private Investigators to address specific differences between this industry and Security Guards. Brownyard Group acquires preeminent salon writer, Hairdressers Agency. Brownyard Group launches insurance program for Alarm and Monitoring Services. Brownyard Group launches insurance program for Wildlife Control Professionals. The Hairdressers Agency, the leading provider of salon and spa insurance, is renamed SASSI and revamped to meet the needs of 21st century beauty professionals. Brownyard Group launches insurance program for Cosmetics Manufacturers, Distributors & Importers. 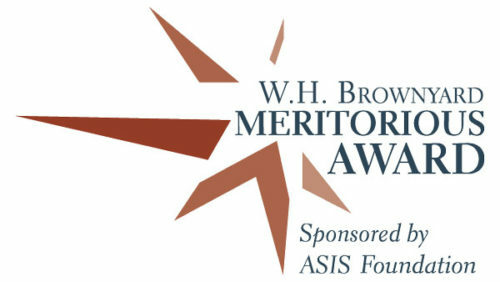 The ASIS Foundation partners with Brownyard Group to share the Meritorious Award with a larger audience of security industry professionals. Brownyard Group develops separate program for Landscape Professionals to address specific differences between this industry and Pest Control. Brownyard Group re-launched the insurance program for Landscape Professionals now written on an admitted basis through an A.M. Best Company A+ (Superior) rated carrier. Launch of MemorialproTM, a specialty insurance solution for cemeteries and crematories. The program will be written through an A.M. Best Company “A+” rated carrier on an admitted basis. A new insurance program for non-profit libraries is launched. By The CoverTM is a multi-line package program offering general liability, commercial property, auto, inland marine, crime and fidelity coverages, and is available in New York, Connecticut and New Jersey.